When it comes to golf, the last thing you need is for one of your very expensive clubs to get damaged. When transporting your clubs from your garage to the course, it’s important that they are constantly protected. Even on the course, your precious cargo should be protected and covered in the event of random bumps, rocks, or rain storms. The best way to do this is with a high-quality, brand-name headcover. As we have mentioned in various articles, a headcover has to be strategically chosen for a particular club. However, covers are also chosen on size, quality, and overall aesthetic design. With that in mind, we want to share the first cover on our list, the new Titleist 913D Driver Headcover and two quality features of this unique luxury product that individuals can expect. Here are two benefits of this cover. When it comes to headcovers that are of the best premium material finish, this is it. This product has the trifecta of quality. This item is made from one of the most premium leather finishes in the industry, it has beautiful contrast quality stitching, and it is made with a sporty and innovative design that captures the attention of individuals. With that said, this product happens to be high quality, attractive and will stand out among the rest. Alongside having a cushioned leather top design, this item also offers shaft protection. The bottom of the cover is a sock-like design that is very common among many brands. With that, this design is guaranteed to offer shaft protection and protection to the overall connection of the club head and the shaft. With that, the protection is not the whole shaft, but it does allow for a part of the shaft to be protected. To discuss the cost and benefits of this item, we first want to mention that this is the newest design from this brand in the industry. With that, it is high quality and stylistically one of the most appealing. It also is modern and innovative, easy to clean, and also very simple to place on the club. With this in mind, we recommend this product to individuals that area fan of this brand. It can be bought by specific sellers and the price may vary. Quality stitching and color design. Modern style and quality leather. Protection is for a short part of the shaft. This next product on our list is a durable and high-quality headcover for individuals that want a stealthy and modern design. 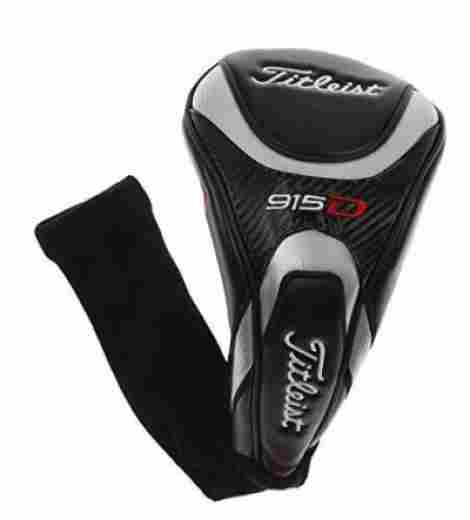 From the Titleist brand, we want to share the 915D Driver Headcover, that is designed to be easy to place, cushion the head, protect from rain, and also be high quality and appealing. Here are two benefits of this unique cover. This item comes with a high-quality shaft protection design. The shaft protection is about two-four inches and offers the ability to protect the connection of the head and the shaft very well. With that, the polyester is a durable polyester that is elastic and does not look at its flexibility. With that, it is black so it does not easily show dirt, and the cover head itself is made of leather so it is easy to clean and very high quality. This product is very high quality and overall has a very modern and simple design. The design has a carbon-fiber pattern at the top with a grey, black, and white stitching design that is very modern and appealing. With that in mind, this driver is designed to stand out among other drivers in the collection and overall individuals can expect the leather to also be breathable and durable. When discussing the cost and benefits for this driver cover, we first want to mention that it has 5 stars throughout. Most importantly, this product is very high quality, simple, and designed to be durable for all day use. The design is unique and this brand has been touted for their masterful design benefits and customer service. 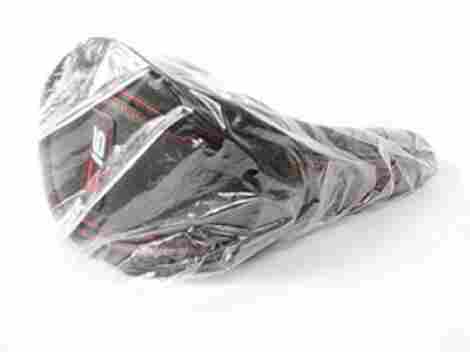 Overall, we recommend this product to individuals that want a stealthy looking cover. Excellent stitching and attention to detail. Trusted brand with great customer service. Only comes in one color choice. This next item is from the 2015 series, but until today has still been known as a fan favorite cover that was expertly crafted and designed for years of use. 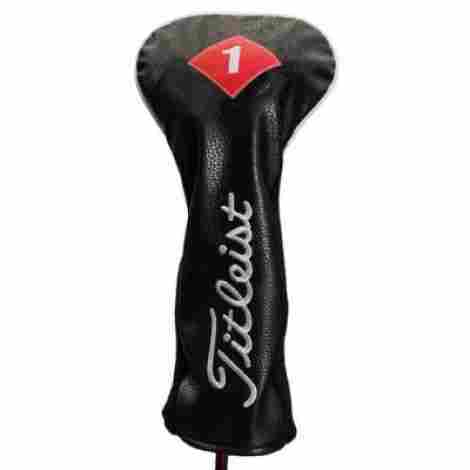 We want to share with our audience a full leather cover known as the Titleist 2015 Leather Fairway Cover. This item actually has a large variety of different color choices depending on the style an individual selects. However, it can only be bought by specific sellers. In any case, it has five stars and we want to share two benefits of this item. This cover is actually made of 100% real leather and designed from premium material stitching and craftsmanship. Overall, the material design guarantees one of the most exclusive premium products in the industry. The design is high quality, durable can withstand the test of time, and does not flake or tear as quickly as synthetic leather. With that said, it is designed to hold its frame for years to come. The style of this particular cover is a very simple and unique style that is designed for individuals that want a quality cover that focuses more on quality than style. With that said, it is an all-black design with a red square design and white branding. With that, the product actually has variations of this particular cover, so that is an aspect to consider. As far as cost and value for this item, we see this as a great addition to any golf club set considering that it is made of one of the highest quality premium materials in the industry. With that in mind, this cover is highly durable, can withstand the test of time, and is also very easy to match with over covers. Designed for everyday wear and tear, we recommend this item. Now, do not be shocked by the price tag, it is because it is 100% genuine leather. Easy to place on the driver. One of the most expensive. This next product follows the trend of the last product on our list by being completely 100% genuine leather. 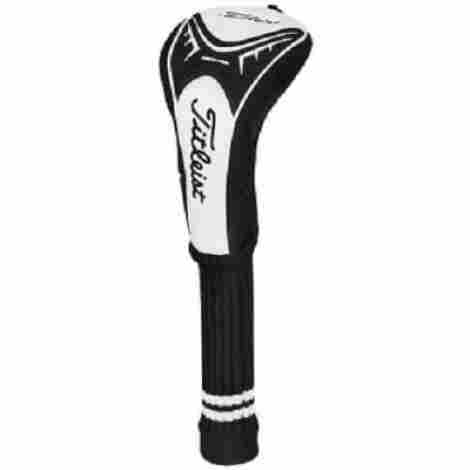 With that said, we want to share the Titleist Leather Driver Head Cover Black for individuals that want a quality product that is durable. As we said in the last product, this item comes in a wide variety of covers to choose from. With that, this item is part of the 100% leather series they have produced. Here are two features of this item. As we discussed above, this item is made from 100% genuine leather, making it more high quality than other covers. With that, one of the biggest benefits of 100% genuine leather is the fact that leather is designed to not rip, tear, or fade like many synthetic leather materials. With that, this item has a more durable track record than other covers and in fact, it happens to have five stars. This item is actually a 100% leather product, where even the shaft connection of the cover is leather. The area where most covers introduce polyester, this product stays true to its quality heritage by being 100% leather. With that in mind, the product does not cover a lot of the shaft, only the shaft, and club connection, ensuring safety to that specific area. Overall, if you are a fan of this brand and want to spend the bucks on a quality item that is more premium than others, this is it. We said go for it! Overall, this is one of the highest qualities covers an individual can consider. The style is simple and modern, and an individual can expect to get years of use out of this item. The price tag does reflect the fact that it is not made out of any fake or synthetic material, it is genuine leather. Easy to put on the head of the club. Shaft protection is not much. This next item on our list happens to be one of the most touted headcover designs and introduces into the bunch a quality design that is very unique. 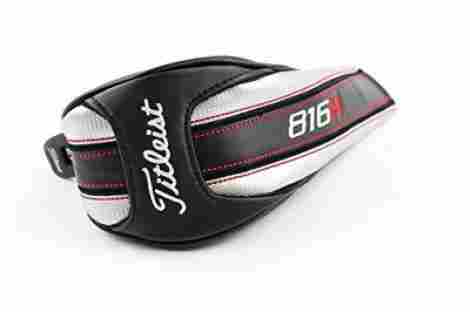 The Titleist 818H Headcover is a Hybrid cover that is designed with quality in mind. In fact, this item has an adjustable tag design that can be adjusted easily and effortlessly. With that, here are two benefits of this product worth considering. Although this item is not made of real leather, the synthetic leather design still has it’s great benefits. First, synthetic leather is very soft and even moisture and water repellent. With that, the leather is designed to be durable and offer plenty of protection. Alongside this, synthetic leather is easy to clean and it does not get stained easily. This item has an elastic strap in the back design of the cover that guarantees a quality snug fit design. With that said, the back strap is designed to ensure maximum quality use and protect the club head very well. The cover is then designed to not fall off easily. Alongside this, the stitching on the overall cover is of the most premium quality. As far as cost, benefits, and overall quality. We can say that this product is of the best material design and guaranteed to last the test of time. Most importantly, this brand excels in creating some of the most touted products. Therefore, we only expect the best out of this product. However, it does not have any reviews online. The price tag is also common among covers of this material quality. Made to be highly durable. Elastic back design for full snug fit. As the next cover on our list, we want to share a very unique and different design worth considering. This next product is of the best material design and guaranteed to withstand the test of time. 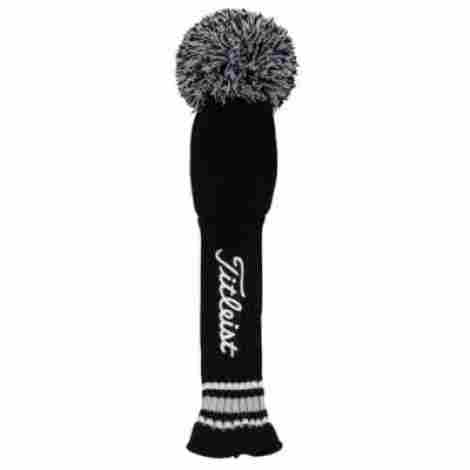 If you want a headcover that is durable, different looking and has a very fun design, then the Titleist Knit Head Cover with Pom is the product for you. This item is designed from polyester and has a quality knit design that guarantees maximum durability and quality. The polyester knit finish is guaranteed to be durable and easier to put on the club than synthetic leather covers. With this said, the knit design is very traditional among headcovers and individuals can expect the overall design to be form-fitting and even offer shaft protection. This product has one of the highest quality elastic designs in the industry. 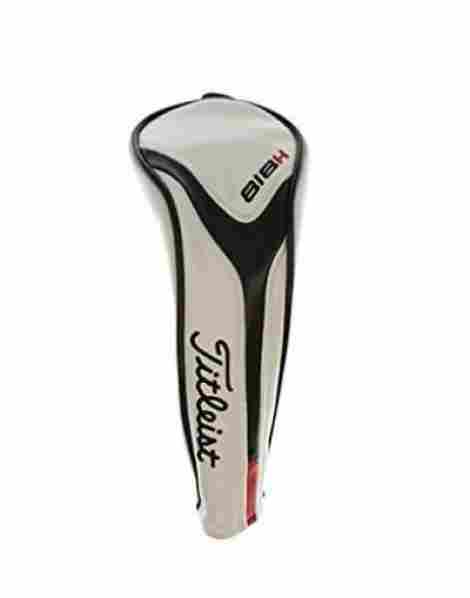 The overall design is an elastic design that guarantees a premium fit on the club head and shaft. Alongside this, the elastic design allows for no moisture build up inside of the glove and guarantees individuals a quality overall fit. Alongside this, the elastic is designed to not lose elasticity even after years of use. As far as cost and value for this unique product, we want to share with our audience that Pom designs are common among many golf brands. With that, this one is a unique and limited edition cover and that is why it is priced a bit above average. Overall, we recommend this cover if you are a fan of the brand and want a great cover design. Elastic band for snug fit. Pom design is cool looking. This next cover is a blend of every cover we have talked about so far. This item uses both leather and polyester to create a protecting cover that is highly durable, functional, and very high quality. We want to share with our audience the 2014 Titleist Japan Special Release Head Cover and two unique aspects to consider about this product. Let’s begin with benefit number one. This product is built with a quality PU leather design at the top part of the cover. The benefits of this material are that it happens to be highly durable. With that, the PU leather is easy to clean, stitched to perfection, and guarantees a quality cushioning to the top of the fairway wood. Individuals can expect that their fairway wood will be well protected against other clubs in the set. One aspect that we have come to know about this particular material design is that it happens to be highly durable and beneficial. Well, this brand has used a polyester shaft protection bottom that guarantees masterful quality protection to the shaft of the club. With that, the polyester bottom is designed to protect the head and shaft connection as well, with a tight band fit that ensures maximum quality safety to the club. As far as cost and value for this product, this is a great choice worth considering if you are an individual that wants a quality cover design. With that, this special release cover has a hefty price tag due to the fact that it is unique and different. Overall, it is a rare design that ensures maximum quality protection to the head of the club. It is often rare that you find another individual on the golf course with this product. Designed to last the test of time. PU leather is easy to clean. May not be available at times. As the next product on our list, we want to share a unique driver cover made by this brand that is also an exclusive and very rare design. This next cover is very high quality, and individuals can expect that more often than not, they will be the only one on the golf course with this cover. We want to share with our audience the Titleist C16 Concept Driver Headcover and two unique aspects of this product worth considering. As we said above, this product happens to be very rare and different than most covers on our list. With that in mind, this product happens to be very modern and unique and only a few have been produced. Now, considering the fact that it is a new and different design than most covers, it happens to only be sold by specific sellers. Part of what makes this product a bit more unique than most is the fact that it comes with a magnetic closure design. The magnetic closure design is a high-quality design that is guaranteed to make the product easier to use and more premium feeling than other covers. With this, the materials are a premium fit and finish material design that guarantees the highest level of durability. To discuss cost and value for this product, we see this cover as a great quality addition to any golf club set. If you are looking for a different and premium design, this product is worth considering. With that said, the design is a comfortable quality design that is easy to use, highly durable and very appealing. Overall, individuals can expect a rare product with a price tag to match. Only sold by specific sellers. Rare design that is very unique. Magnetic closure for easy use. It is time to share with our audience another driver cover that is made to be very unique, modern, and also high quality. From a brand that excels in craftsmanship and durability, Titleist has reigned supreme for years. It is time to share the Titleist 816H Golf Headcover and two unique benefits of this quality product that individuals can expect. Here are two features to consider. This product has a modern design with synthetic leather as it’s primary material. With that in mind, the modern design is guaranteed to withstand the test of time and individuals can expect the overall design to match with many other clubs. Overall, the design is durable and the stitching is a contrast stitching that is highly appealing and adds a unique design style to the product. This product has a fully adjustable number tag design that makes it easy to identify which driver you want to use the cover for. With that said, the last aspect to consider is that this product is high quality, and the tag is designed to be easy to adjust but does not fall off easily during transit. This product is made of synthetic materials and therefore, the price is much less than other items we have shared. With that, this hybrid cover is very high quality and designed to be durable and easy to use with any club cover you wish. Overall, the design is of the best material quality and we can guarantee this product to withstand the test of time and be fully functional. Quality headcover design made to be durable. Easy to identify number tag. Fits over any hybrid golf club. Very snug and tight fit. As the last cover on our list, we want to share a modern cover made with high-quality materials and includes to unique items alongside the purchase. This cover comes with the Surefit Manual and the 14g Weight. With this in mind, we want to introduce two important aspects of the Titleist 917 Fairway Wood Headcover and what individuals can expect as far as design qualities and benefits. The material design of this product is made of synthetic leather. With that in mind, synthetic leather is a very durable and high-quality material design that guarantees a premium finish that is clean cut and high quality. More so, the synthetic leather finish is tear-resistant and water-resistant as well, allowing for transit during rainy days. Individuals can expect this product to have a high-quality fit design. The fit of this product is snug due to the elastic band in the back that hugs the fairway wood easily. With that, the overall fit is designed to not come off during transit and allows for individuals to easily place it on the head of the item. To discuss cost and value for this last item, it is important to note and recognize that this brand is known for their expert quality finish. This item has all of the elements of a durable and high-end cover. The price also reflects those qualities and individuals can expect this product to be well worth the design value. Designed to be high quality. Comes with manual and 14G weight. What is the purpose of a headcover? This is an obvious question, but we want to help our audience remember that the purpose of a headcover is protection. Especially, if you have a premium made club made from brands such as this one, then you want to securely cover your club head to ensure that it is safe during transit. With that said, this kind of equipment can also keep the clubhead secure and safe during storage and prevents any dust build up from building on the club head. Now, we want to move forward and share with our audience the top different elements to consider when selecting a quality headcover from this brand. We want to share our criteria to evaluate the best Titleist headcovers. Let’s begin! As the first criteria to consider, we can say that durability and quality is one of the most important aspects when selecting a quality headcover. The reason being is that durability ensures that the product will be able to withstand the test of time and not rip or tear easily when in transit. Alongside this, the overall quality of the headcover is only a pillar of the whole club set. 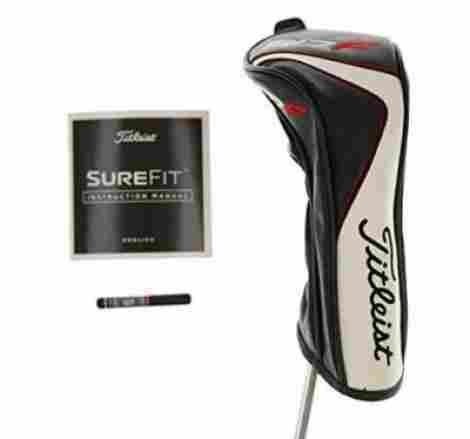 This kind of equipment has to match the quality of the club set and if individuals are buying clubs that are worth hundreds of dollars, they also need the proper headcover that will protect the club appropriately. With this, we can say that all of the covers we have shared are of the best material quality and we can tell our audience that these covers are guaranteed to be of high value. With that, we also wanted to focus on products that were four stars or more or were of premium value. Individuals will also notice that many of the clubs we shared were actually special addition clubs or premium clubs that were only for a select amount of time. Therefore, they are made of the highest premium quality worth considering. With that, we want to move to a criterion that is particular to this brand because of the specific design qualities of their covers. We do talk about material quality often in many of our criteria’s because we want to ensure the highest level of quality and design. With this in mind, we want to talk about the material quality of the premium covers on our list and the regular covers and what individuals can expect. Upon further research, we discovered that this brand designs many of their covers as special edition covers or covers that are only to be released for a short period of time. 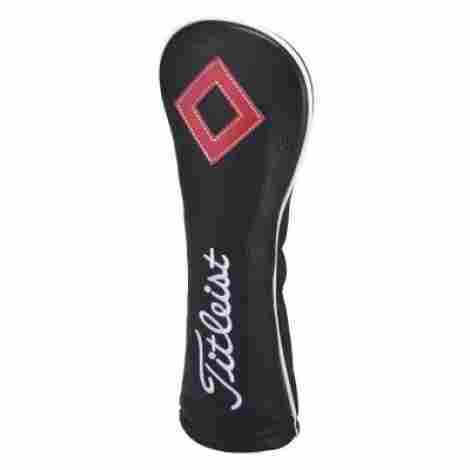 An example would be the 2014 Titleist Japan Special Release Head Cover. With this in mind, what makes covers such as this one of the highest qualities and unique material quality is the fact that they are designed of 100% premium and real leather. With that, real leather happens to be more durable, more aesthetically pleasing, and overall a more exclusive design. We share this with our audience, so they can take into consideration that the leather material will affect the other cost of the cover as well. With all of this said, there are also non-premium covers. These covers are to be mass produced and happen to be their yearly design covers. This kind of equipment tend to be made from synthetic leather or other non-real material. With that, non-premium covers are also made of polyester and individuals can expect them to be for everyday wear and tear. Now, they do cost less in price but that should not be a deterrent from considering one, when in fact, most brands have synthetic leather covers because they are easier to produce and offer the most value for the cost. These two factors are important to consider when selecting the best cover for you. Now, we want to move onto another criterion. What kind of closure it has. The overall elasticity of the cover. If it’s cushioned on the inside. If the cover is moisture-resistant. If the cover is breathable. If the cover is water-resistant. With this in mind, the last aspect to consider when selecting the best quality cover is the cost. The cost is important because the age-old saying, “you get what you pay for” applies in this scenario. 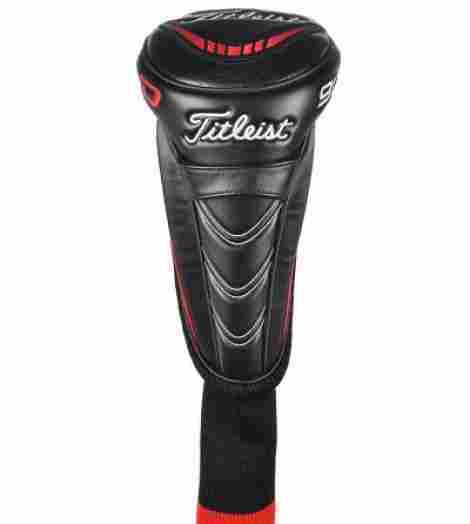 For instance, a headcover that is very cheap will only give you a couple of years of use compared to a premium cover. Other factors that may raise the cost of the cover include if its part of a premium series. Now that we have shared these criteria, we want to move forward and answer some of the most frequently asked questions when it comes to these headcovers. Q: What are headcover tags and what ones come with the purchase? A: Golfers will use tags with their protective cover to notate what club is underneath. Typically, depending on the type of product you purchase, the manufacturer will provide you with an assortment or set of tags applicable to that size. For example, if you purchase a designed for fairway woods, you can anticipate receiving tags for irons, wedges, hybrids, and fairway woods. You can also verify with the manufacturer in the product description or with consumers who have reviewed the product. Q: How do you clean real leather? A: This is a great question. Given that many of these products are made from a leather material, it’s important to carefully use only quality leather cleaners. Avoid using harmful chemicals to remove stains as it may cause more damage. One helpful tip: always use a soft towel or cloth when working with these products. This helps to reduce the risk of scratches or tears. Q: What is the closure system? A: A closure system is the design mechanism that will essentially keep your clubs protected. Most premium products have a closure that is magnetic, while others are elastic or Velcro. It all depends on the cover design. Q: Can I use this on a club that is not from the same brand? A: Yes, as long as the fit and size are the same and correct.